On July 28, 2011, the Miami Dolphins acquired running back Reggie Bush from the New Orleans Saints in exchange for safety Jonathon Amaya and a swap of 2012 sixth-round picks. It's safe to say that deal was a steal for the Dolphins, as Bush topped 1,000 yards rushing in 2011 and is off to a hot start in 2012, while Amaya notched seven special teams tackles for the Saints last season and was waived during final cuts last month. Now, the Dolphins have essentially given up even less in the deal, as Amaya has returned to the Dolphins on a free agent contract signed Tuesday. Amaya joins linebacker Mike Rivera, who was with the team for one game in 2010, as "new" faces on the roster. To make room for Amaya and Rivera, the Dolphins waived offensive lineman Ray Feinga and safety Troy Nolan. One of the Dolphins' final cuts, Feinga was re-signed on Sept. 4 but but spent the team's first three games inactive, while Nolan was added off waivers from the Texans following final cuts. He had appeared in all three games this season on special teams, failing to record a tackle and getting hit with an illegal block penalty on the initial second half kickoff in Sunday's 23-20 loss to the Jets. In another roster move that did not clear up a roster spot, the team released offensive lineman Artis Hicks from injured reserve with the designation of "Failure to Disclose Medical Condition." Hicks was placed on I.R. with a neck injury on Sept. 4 when Feinga was re-signed. And finally, the Dolphins worked out defensive backs Aaron Berry and Morgan Trent today, according to the Miami Herald's Barry Jackson. Neither was signed and it's possible they were competing for the same roster spot that went to Amaya. A Panama City native, Amaya was a second-team All-WAC selection at Nevada, where he racked up 236 tackles, one sack, two forced fumbles, seven interceptions and a defensive touchdown in 44 career games. He went undrafted in 2010 and signed with the Dolphins as a rookie free agent. After beginning the regular season on the Dolphins' practice squad, Amaya was promoted to the active roster and proceeded to notch 13 special teams tackles in only 10 appearances, leading the team. He was dealt to the Saints in July 2011 in the trade that brought Reggie Bush to Miami and went on to total seven special teams tackles for New Orleans that season. 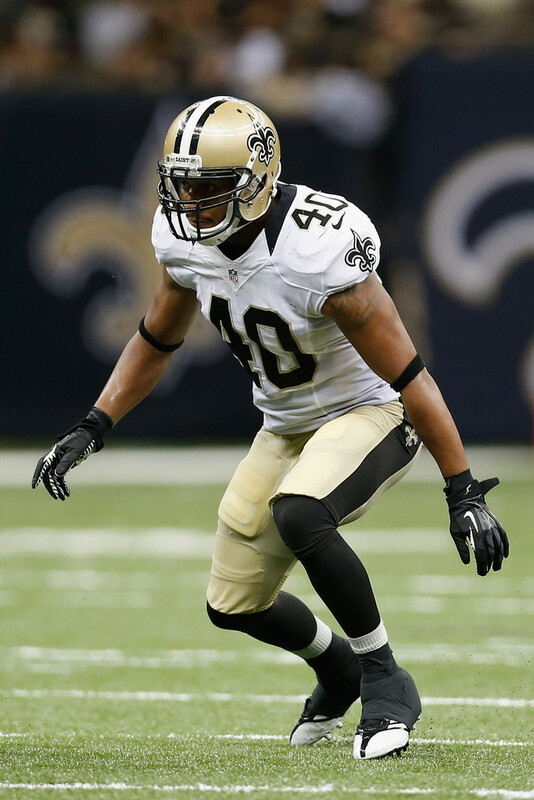 Despite totaling 12 tackles for the Saints in the 2012 preseason, Amaya was waived during final cuts. He returns to Miami having played just 63 career defensive snaps, including nine as a rookie with the Dolphins in 2010. A Kansas native, Rivera played college football close to home with the Jayhawks. He was a three-time honorable mention All-Big 12 selection, closing out his collegiate career with 93 tackles, two sacks, and four forced fumbles as a senior in 2008. After going undrafted in 2009, Rivera signed with the Chicago Bears and totaled 10 tackles during the preseason before being waived during final cuts. He was signed to the Tennessee Titans' practice squad to begin the 2009 season and remained there through the end of the year, re-signing with the team in 2010 and appeared in three preseason games before landing on injured reserve and being released before the regular season. The Green Bay Packers signed Rivera to the practice squad in October 2010, where he remained until being signed to the Dolphins' active roster on Dec. 29. Rivera was inactive for the team's season finale and was waived by the team the following August. Rivera joined the New England Patriots' practice squad in November 2011, finishing out the season there before being re-signed by the team in the offseason. He made the team's active roster out of training camp and appeared in the team's first two regular season games as a special-teamer, recording zero tackles. He was waived by the team on Sept. 18. Addressing Hicks first, I find it interesting the team released him from injured reserve and it's the first time I've ever seen anyone released for failure to disclose a medical condition. Hicks' $3 million salary for 2012 was guaranteed as he was still with the team when the regular season began, but that designation appears to indicate the Dolphins play to go after some or all of that money based on Hicks' supposed deception of his health. Moving on, I'm not shocked to see Feinga and Nolan gone at this point. Nolan hadn't shown well on special teams yet and clearly didn't show any upside at safety in practice, making him easy to part ways with. The oft-waived Feinga is expendable again now that Jake Long appears to be fully recovered from his sprained MCL suffered in August. The team still has Will Yeatman on the 53-man roster as a practice backup for Long, though he too has yet to be active in 2012. I'm glad to see Amaya back, as he was a stellar special teams player as a rookie and I always felt he had some developmental upside as a safety, although the Saints clearly found him pretty expendable during final cuts. Amaya will take Nolan's spot on the roster and his place in Darren Rizzi's special teams unit, meaning he should be active as early as this weekend at Arizona. Rivers profiles strictly as a special teams player as well and isn't really a threat to anyone at the linebacker position. It's possible he could push Austin Spitler off the roster with a good showing, although I consider that unlikely. Rivera is on a week-to-week basis with the club and is no lock to dress on game days.